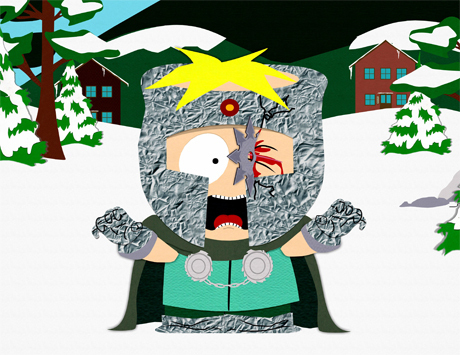 Butters with a shruiken in his eye. This is Butters being injured afer getting a shuriken thrown at his eye द्वारा Kenny in the episode "Good Times with Weapons".. Wallpaper and background images in the साउत पार्क club tagged: south park butters shruiken good times with weapons ninjas hilarious. This is Butters being injured afer getting a shuriken thrown at his eye द्वारा Kenny in the episode "Good Times with Weapons".